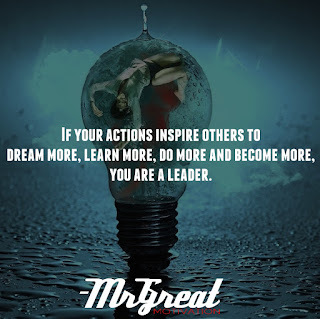 Home Motivational Quotes If your actions inspire others to dream more, learn more, do more and become more, you are a leader. Many people have a very parochial definition of what leadership is. It is defined in terms of your actions, and what they inspire. 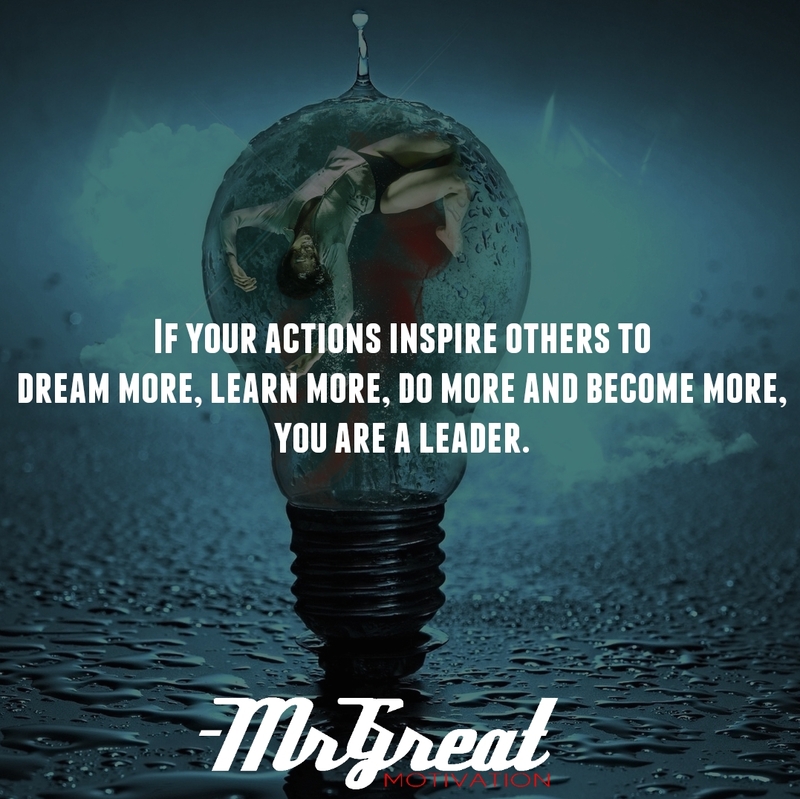 If your actions inspire people to dream for better things, if your actions inspire people to learn more, if your actions motivate people to become more active and do more, or if your actions inspire people to improve themselves, then you are a leader. Your team is your greatest resource; listen to their feedback and encourage their dreams. You never know where your next great idea will come from, so empower everyone up and down the corporate ladder to participate and innovate. Perhaps the most important leadership skill you can develop is the ability to provide inspiration and motivation to your team. We have to be trailblazers, making a path for others to follow. We should inspire other people to dream bigger, and achieve greater. If we motivate them to reach for the stars, they just might bring us back the moon. Make sure to never stop looking for opportunities for professional development, and pass on the wisdom we’ve learned to other people. To be a good leader, sometimes we need to go down the untraveled path. Being bold in the face of uncertainty will help give our team courage and motivate them to keep striving when the going gets tough.